I hate winter. I hate to be cold. I hate the early sunsets. I hate being cooped up. And I complain about winter – a lot. But this year, I decided to try a new positive approach to winter. I set a personal goal to walk every day this winter regardless of the weather. In Nordic cultures, they say there is no such thing as bad weather, only bad clothing. So I laid out layers of clothing in late fall – my hiking boots, long underwear, microfiber gloves, hats and scarves – and started to walk. It felt good to be outdoors. I loved the sun’s renewing rays– even if the Vitamin D was being delivered in a frozen form! But then winter really rolled in. I found icy streets and sidewalks to be treacherous in my neighborhood so I was walking in the Findlay Village Mall more than outdoors. But, my heart was craving fresh air and nature. Andy Goldworthy once said that “Snow provokes responses that reach back to childhood.” And he is right. On a recent snowy day, I found myself thinking about my childhood – especially happy memories of hikes with my grandfather around Van Buren Lake. I even found an old photograph of my childhood neighbors, Steve and Shari Peterson, playing with my brother and me in the snow at Van Buren Lake 50 years ago. That’s when I knew how to cure my cabin fever! I had known the answer since childhood. I headed out for a winter hike at Van Buren State Park. And it was perfect – peaceful and quiet, with over 5 miles of well-marked trails, and less than 10 minutes from Findlay. I walked a 3-mile loop around the lake and then hiked another 2 miles along the banks of the Rocky Ford Creek. I never saw another person, but I did see deer, a fox, a raccoon and squirrels. My best surprise was when I found recent cuttings from beaver along the creek. If your spirit is calling you back to the woods this winter, grab your winter clothes and head for Van Buren State Park. Make sure to say “hi” when you pass me on the trail. You’ll know it’s me because we will be the only people there enjoying our own quiet and peaceful hiking adventure. Bundle up and head to Van Buren State Park for a winter hike – if you see Julie, say hi! On the west side of TR 229, you will find a maze of multi-use trails that circle the lake (including a mountain bike trail). The entire lake loop is 3 miles. On the east side of TR 229, you will find another maze of trails that parallel the Rocky Ford Creek. There is a bridge that crosses the creek about a mile from the trailhead so you can hike in along one side of the creek and hike out on the other side. There are also horse trails on this side of the park. You can find a great interactive trail map on the Ohio Department of Natural Resources website.  This blog post was written by Visit Findlay blogger Julie Brown. Julie is an Oler’s enthusiast, avid hiker, and enjoys great stories. That isn’t much, is it? Learn more about Julie and read her other posts here!